In the spring of my freshman year in college, I took “Principles of Microeconomics” in Lecture Hall 1, a 400-seat auditorium. The professor was an economist and thus possessed a certain perspective on human nature. On the first day of class, he explained that our grades would be based on two midterms and a final. If we skipped the first midterm, the second would count double. If we skipped them both, the final would count for 100 percent of our grade. I may or may not have waited until the hour ended before walking out the back door of Lecture Hall 1 toward the nearest bar. Fifteen weeks later, suddenly mindful of various dire warnings from my father about passing grades, continuing financial support, and the strong connection between them, I cracked my econ textbook and began a five-day cram session fueled by youthful energy and caffeine. When I walked down to the bottom of Lecture Hall 1 to turn in my final exam, one of the teaching assistants told me to place it in a pile corresponding to my course section. I never attended a course section, I replied. I’ll always remember the look of resignation and disgust that crossed his face. A few weeks later, I received a letter informing me that I had received a C on the final and thus the course. Accordingly, Binghamton University, a prestigious, regionally accredited research institution, awarded me four academic credits, which I applied toward a bachelor’s degree that I hold today. Last fall, more than 100,000 people enrolled in a free online version of the renowned Stanford roboticist Sebastian Thrun’s artificial-intelligence course. Many didn’t finish. But some did, and among them, some performed just as well on the assignments and exams as the whip-smart students in Palo Alto who took the course in person. For this, the online students received no official academic credits of any kind. Over the last year, massive open online courses, or MOOC’s, have quickly traversed the cultural cycle of hype, saturation, backlash, and backlash-to-the-backlash. Like blogs, MOOC’s are interesting, important, and stuck with an absurdly unserious name. But don’t let the silly-sounding moniker fool you. Some new things are praised to the skies because people have a weakness for the shiny and novel. Others are hyped because they will obviously change the world, and it always takes the world a little while to adjust. MOOC’s are of the latter kind. This became clear not when Thrun and his colleagues enrolled vast legions of learners from around the world. The online Rubicon wasn’t truly crossed until Harvard, which had been studiously ignoring the free online course movement, jumped aboard the bandwagon to become a partner in MIT’s MOOC venture, edX. University officials in Cambridge were clearly anxious about missing the next big thing. Then, a few weeks later, the University of Virginia’s Board of Visitors fired its president after reading about MOOC’s in The Wall Street Journal. Good intentions come and go. Status anxiety, by contrast, is the great motivating force in elite higher education, and where elite colleges go, others follow. In a stroke, the public perception of online higher education shifted from down-market for-profit colleges to the most famous universities in the world. It’s hard to overstate how important that will be to acceptance of this burgeoning educational form. Indeed, the future is so clearly one of universal access to free, high-quality, impeccably branded online courses that their presence can be simply assumed. The interesting questions now revolve around financing, quality assurance, and—most important—credit. At the moment, colleges have a monopoly on the sale of college credits, the only units of learning that can be assembled into credentials with wide acceptance in the labor market. Monopolies are valuable things to control, and monopolists tend not to relinquish them voluntarily. But the MOOC explosion will accelerate the breakup of the college credit monopoly. Someone scoring in the top 1 percent of students in a course taught by a world-famous scholar and endorsed by a world-famous university deserves no credit, while some slacker freshman who ekes out a C deserves four credits? The most obscure, perpetually-on-probation, nobody-ever-heard-of-it college can grant credits, but not edX, backed by MIT, Harvard, and now Berkeley? Students can get credits from for-profit higher-education corporations that buy up failing accredited colleges and turn them into giant online student-loan-processing machines, but not from Coursera, where online courses are designed by hand-picked professors from universities including Princeton, Duke, Caltech, and Penn? Some organizations will develop businesses devoted exclusively to credible, secure assessments of what MOOC students have learned. Security and integrity will always be issues for online learning (although I don’t remember anyone checking my ID when I took my econ final, or any final for that matter). But these are solvable problems. Thrun’s MOOC company, Udacity, is forming a partnership with the textbook giant Pearson’s VUE testing-center service for exactly this reason. Other companies will sell services designed specifically to support learning online. This, too, is already happening. The tech company Piazza, for example, provides online spaces for instructors and students to ask and answer questions about course concepts and assignments, for traditional and online classes. Piazza’s offices are in Palo Alto, just up the street from Stanford. That’s not a coincidence; as new modes of online higher education develop, the ecosystem of start-up capital and innovation in Silicon Valley will organize around them. All of this points toward a world where the economics of higher education are broken down and restructured around marginal cost. The cost of serving the 100,000th student who enrolls in a MOOC is essentially zero, which is why the price is zero, too. Open-source textbooks and other free online resources will drive the prices of supporting materials toward the zero line as well. The cost of administering an exam to the 100,000th student in a secure testing center, by contrast, isn’t zero, so students will end up paying for that. One-on-one access to an expert or teaching assistant also costs money, so students who need those services will pay for them as well. Meanwhile, the dominant higher-education pricing model, in which different students pay a single price for a huge package of services they may or may not need, will come under increasing stress. Colleges of all kinds will need to re-examine exactly what value they provide to students, what it costs, and what price the market will bear. I’m far from the first person to make these predictions. MOOC’s just make the future seem more certain­—and less distant—than ever before. 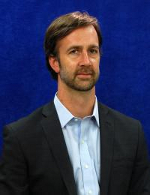 Kevin Carey is director of the education-policy program at the New America Foundation. This article was originally published in The Chronicle of Higher Education, September 3, 2o12.